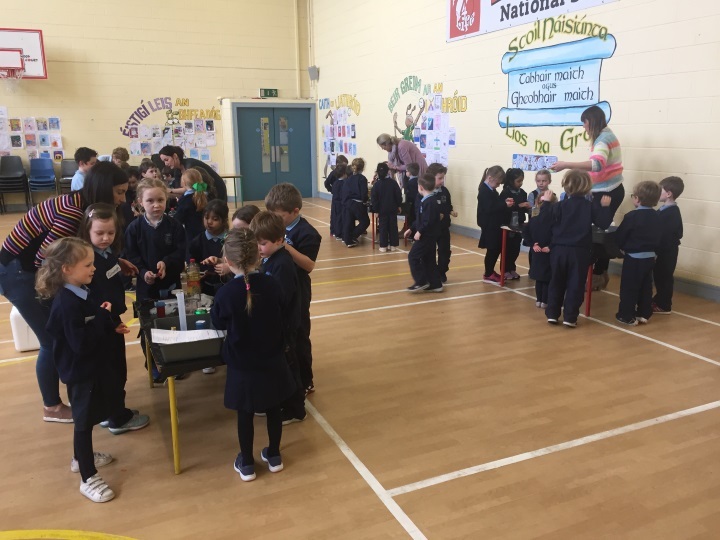 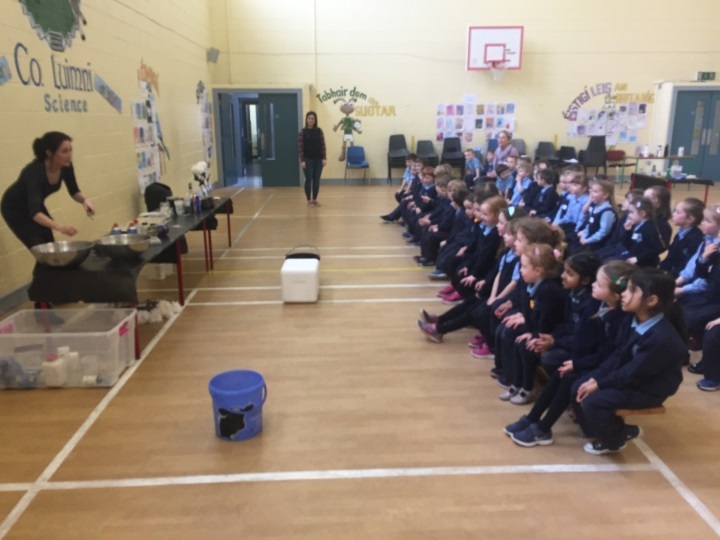 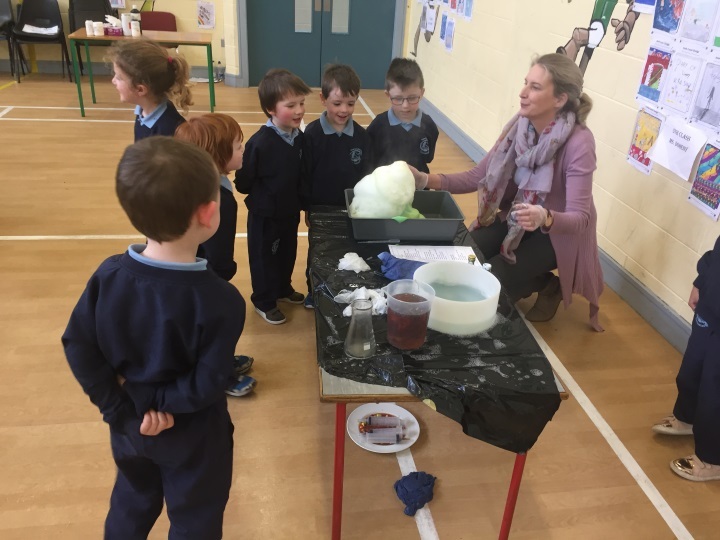 On Friday 22nd March 2019, Secondary School Science Teacher Ellen Condon came to our school to do a Science Presentation for our Junior Infants. 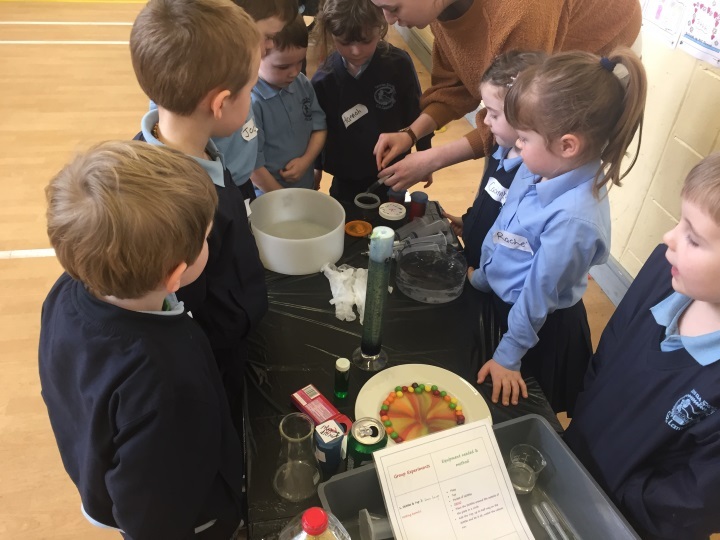 The children were split into groups of 8 and they conducted lots of experiments such as – Skittles & 7up, Worms, Dry Ice and Bubbles, Elephant Toothpaste and Genie in a Bottle. 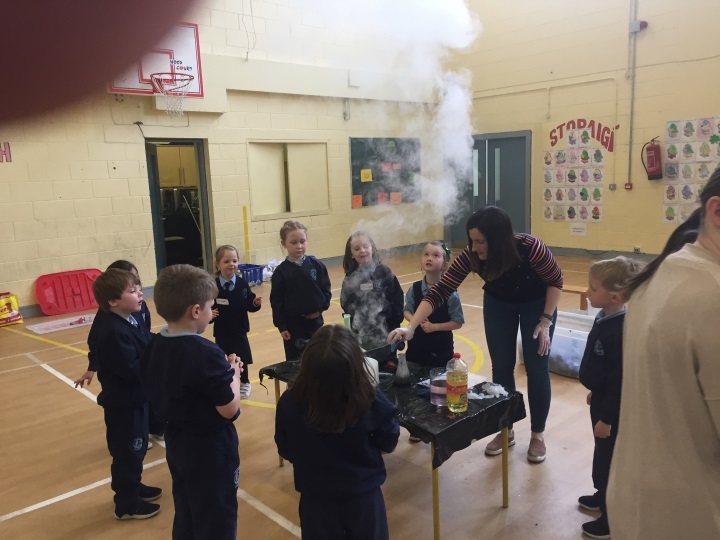 We had a great day and it was a lots of fun!